The retreat was meaningful. One of the byproducts of our time together was deepened conversation about what it means to be spiritual leaders before, during and after General Conference, the top policy-making body of The United Methodist Church which meets once every four years. A small group of us met daily for breakfast and prayer around this idea and were offered space on the agenda to have a larger conversation with our colleagues about what that spiritual leadership might look like. 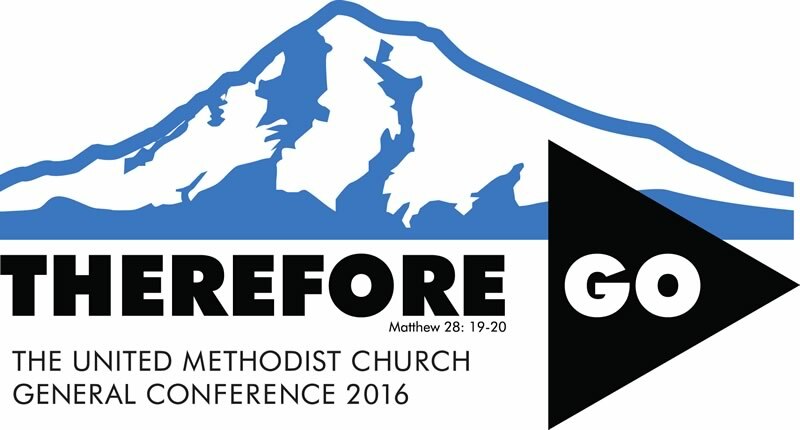 I’m hopeful that all United Methodist Church bishops will offer prayerful, spiritual leadership in the days leading up to, during and after 2016 General Conference, May 10-20 in Portland, Oregon. Pray and fast each Friday beginning in Advent and continuing through General Conference. Have a Day of Prayer on April 1, the Friday after Easter, to pray for all who will be leading and serving during General Conference. This could take the form of a prayer vigil where the church is open 24 hours and persons agree to spend an hour in prayer. Memphis Conference Delegation: Click here. Tennessee Conference Delegation: Click here. There are a number of groups offering preparation leading up to General Conference and resources are being produced for local congregations to access. Click here for more information. 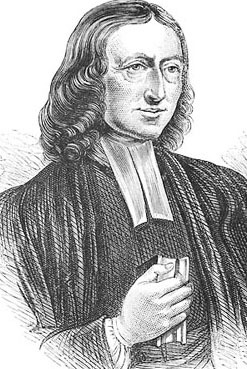 The United Methodist Publishing House is producing a small guide for the Church which is a re-release of a little guide Francis Asbury published in 1792. The title is: The Causes, Evils, and Cures of Heart and Church Divisions. It will be available in the spring and promises to be a good resource. There will be other resources forthcoming. One in particular that you will want to watch for is written by Western Pennsylvania Conference Bishop Thomas J. Bickerton: What Are We Fighting For? Coming Together Around What Matters Most. Your appointive cabinet has covenanted together to be spiritual leaders by Leading, Learning and Loving. I will be sharing more about this in coming days. In the meantime, I invite you to join me in stepping deeper into a life of prayer as we lean into the season of preparation for Advent, Epiphany, Lent and Easter. As my colleague, Virginia Conference Bishop Jung Jin Cho, prays, “Your Will, Lord, nothing more, nothing less, nothing else.” May this be our deepest prayer in the days to come. As I am well into my third year of serving the Nashville Episcopal Area (Memphis and Tennessee Conferences), one issue always on my mind and heart is making sure we have a well-planted Wesleyan theology throughout all of our congregations and ministries. I want to help secure a Wesleyan theological foundation for our Christian faith and practice that embraces Scripture, tradition, reason and experience. I think this foundation is especially critical for the success of our new Area-wide mission to discover, equip, connect and send lay and clergy leaders who shape congregations that offer Jesus Christ to a hurting world, one neighborhood at a time. As one of many ways to address this theological grounding, my office is currently coordinating the offering of a Doctor of Ministry (DMin) degree program that begins this month. To initiate this program with about 10 students from each conference, I, along with Dr. Douglas Meeks and Rev. Tom Laney of the Cal Turner Center for Church Leadership at Vanderbilt Divinity School in Nashville, Tenn., identified potential students. My hope and intention, however, is that this will be only the first cohort of an ongoing program. It is also my desire that those who complete the degree will help carry forth the teaching of Wesleyan theology across our Area. 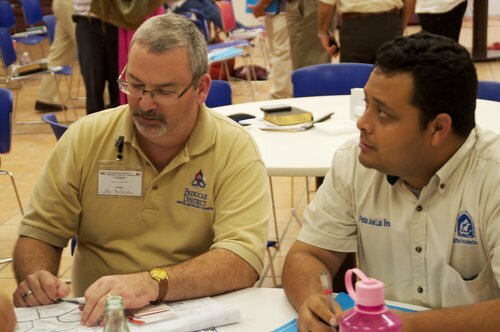 The DMin program is a partnership with Wesley Theological Seminary in Washington, D.C. and the Turner Center. Cal Turner, Jr., has provided a generous grant to make this program possible. Students will meet four times over a two-year period for two weeks at a time at four different locations: Scarritt-Bennett Center in Nashville, Tenn.; Methodist-LeBonheur Healthcare System in Memphis, Tenn.; Wesley Theological Seminary; and Martin Methodist College in Pulaski, Tenn. The degree program will focus on issues important today that also were part of the original Wesleyan revival: healing and health care delivery, education, urban and rural poverty, and the penal/political/economic system. The DMin program will employ an interdisciplinary approach to equip pastoral leaders for the challenges of their mission fields. Each course will include work on scripture, Wesleyan theology, congregational formation for mission, and social, economic and political analysis of mission opportunities in middle and west Tennessee and western Kentucky. 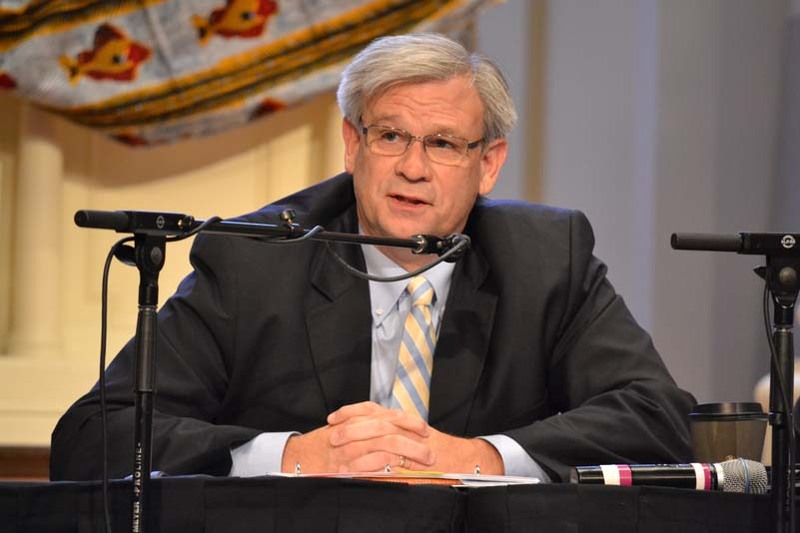 As Dr. Meeks told the potential DMin candidates, if Christ’s love and forgiveness can’t be conveyed by our United Methodist churches in the midst of current events, we are no different than any other organization. It is my hope that this DMin program will train and prepare these clergy to convey grace and share the gospel while “in the world” so others may learn and know the love of Christ. This statement is offered to the United Methodist Church to affirm our vow “to guard the faith, to seek the unity and to exercise the discipline of the whole church.” We are mindful that many across the Church will disagree; some expecting more, others expecting less. As a global church, we wrestle with language that does no harm-either in the United States or abroad. What we are clear about is that the mission of the church to make disciples of Jesus Christ for the transformation of the world is our deepest call and commitment. We acknowledge that differences and divisions exist within our denomination and across the Nashville Area. Therefore, we will prayerfully consider ways in which to open space for deeper conversation among one another with regard to our differences around our understanding of human sexuality. Please continue to offer prayer for each other and for the bishops as we move toward General Conference 2016. *For more information about this statement from the Council of Bishops, click here to read Nov. 7 story from the United Methodist News Service. …it’s on my mind because this is Advent and we are on a journey to Bethlehem, a journey we take annually as a Church. There was a time when the Church began the season with a period of penitence and fasting. Perhaps these are practices that would serve us well in this current environment. There will be great joy among us as we celebrate in our congregations in the coming days. We will celebrate the coming of Christ’s birth. Will we also hold before us the tension held within the reality that his life led to his crucifixion, resurrection and the promise of new life for all of us? Kate Lasso, a member of the Eighth Day Faith Community suggests that during Advent we celebrate God’s invitation to reconciliation. To be reconciled to God is to be actively living what Jesus taught: Love God and love neighbor. Jesus’ invitation is also a call to discipleship. To be engaged in discipleship is to choose downward mobility. It is to take up one’s cross and follow daily our Leader. 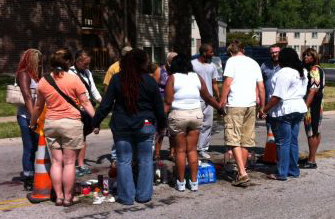 It is to be so in love with God that love for neighbor is the natural response. As you make preparations, make room. Make room in your heart, in your family, in your work, and in your re-creation. When you do, you will be ready for Christmas in the deepest places of your soul and you will be one with Christ and one with each other. > The TN Conference Children & Families Ministry is publishing an excellent daily Advent devotional via email, CLICK HERE to subscribe – I recommend it! Giving Tuesday – Have you heard about it yet? Created in response to the consumer-driven traditions of Black Friday and Cyber Monday, GivingTuesday will take place on Tuesday, Dec. 3. For United Methodists, this means every gift made online that day through “The Advance” will be matched dollar for dollar. All you have to do is log onto umcmission.org/give and search more than 850 missions and ministries. I encourage all United Methodists of the Nashville Episcopal Area (Memphis and Tennessee Conferences) to participate in Giving Tuesday. It offers us all an opportunity to not only support United Methodist organizations that are transforming the world, but begin the month of December by giving, rather than receiving. Click here for video and other resources that explain Giving Tuesday and The Advance. Please join me on Dec. 3 by giving back through The Advance. It’s an easy and meaningful way to show gratitude for the gift of our lord Jesus Christ. Over the last several days the United Methodist Council of Bishops has been in session at Lake Junaluska, NC. Of the many topics on the agenda this week, none was more significant or more engaging than the discussion that resulted in this statement (posted below). This statement from the Council of Bishops is a result of discernment, prayer, and deep reflection. It arises out of the recent actions of retired Bishop Melvin Talbert in the residential area of Bishop Debra Wallace-Padget. 2. A recognition that United Methodists are not of one mind on the subject of human sexuality, and that there are deep divisions among Christians who read scripture in different ways and whose consciences move them to opposing convictions. 3. 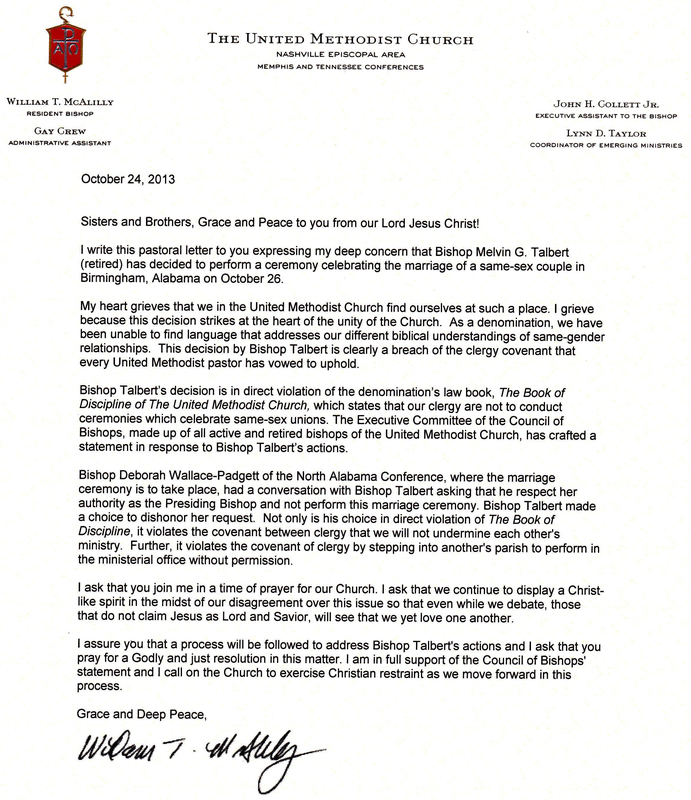 A direct response to the action of Bishop Talbert, which was in violation of the 2012 Book of Discipline by undermining the ministry of another. 4. A commitment to lead honest and respectful conversations around human sexuality, race, and gender in light of our theological convictions for the sake of our mission. 1. The General Conference, not the Council of Bishops, speaks for The United Methodist Church. 2. The Council of Bishops does not hold an individual bishop accountable; this practice is given by the General Conference to the (jurisdictional) College of Bishops. 3. The response of the bishops is a reflection on two subjects: a) the violation of the Discipline by a member of the clergy, b) the ongoing struggle of the church with our ministry with gay and lesbian persons. As the resident bishop of the Memphis and Tennessee Conferences, I take seriously the calling to be a shepherd to the clergy and laity of the Nashville Area. I am aware that there are deep divisions among us on this subject. We are in a difficult time as we navigate the changing cultural landscape. We are also an incredibly diverse Church. I covet your prayers for all who are harmed by this action. *For those who follow a number of bishops on these matters, Bishop Ken Carter was the chief architect of the above statement with slight variations for the Nashville Area. I am indebted to Bishop Carter for sharing his willingness to be collaborative. A small group of bishop colleagues collaborate on a number of issues of this nature from time to time. LAKE JUNALUSKA, N.C.: Following the action of a retired bishop to conduct a same-gender ceremony in violation of church law, the United Methodist Council of Bishops took a series of actions to address the issue during their annual meeting this week in Lake Junaluska, N.C.
“When there are violations of the Book of Discipline, a response is required,” the bishops said in a statement. The Council also voted to initiate a task force to lead conversations about human sexuality, race and gender in a global perspective. The goal of this effort is to come to a shared theological understanding amid diverse opinions in the church about these issues. These actions followed days of prayerful discernment and conversation about the action it would take after retired Bishop Melvin Talbert conducted a ceremony on Oct. 26 celebrating the marriage of a same-gender couple in Center Point, Ala. – a chargeable offense for United Methodist clergy. Both the presiding bishop of the North Alabama area where the ceremony took place, Bishop Debra Wallace-Padgett, and the Executive Committee of the Council had requested that Bishop Talbert not perform the ceremony. Under church law, the College of Bishops – which is constituted of the bishops in a jurisdictional or central conference – has authority and accountability for processing complaints against a bishop who serves (or served) in that area, which would be the Western Jurisdiction in this instance. Earlier this week in the President’s Address, Bishop Wenner acknowledged there is diversity of opinion about many issues in the church. “We have to lead together although we are not one minded. We do not need to hide that we are diverse,” she said. In the address, she also noted, “Serious conflicts have to be brought to the tables where leaders are present,” an acknowledgment that supports the plan for further discussion of the issue through a task force. NASHVILLE, Tenn. – United Methodist bishops from around the globe will gather in North Carolina at the Lake Junaluska Conference and Retreat Center for the Council of Bishops meeting, November 10-15, 2013. On Sunday, November 10, a memorial service will be held at First United Methodist Church in Waynesville. Bishop Wenner will present the President’s Address at 9:45 am on Monday. On Wednesday, the Council will travel to the Qualla Boundary, which is part of the original homeland of the Cherokee Nation. The area is currently home to the Eastern Band of Cherokee Indians, direct descendants of those who were able to avoid forced removal to the area that is now Oklahoma. | The Council of Bishops – made up of 46 active bishops in the United States, 20 bishops in Europe, Asia and Africa, and 97 retired bishops worldwide – provides leadership and helps set the direction of the 12 million-member church and its mission throughout the world. The bishops are the top clergy leaders of The United Methodist Church, the second largest Protestant denomination in the U.S.
Bishop Bill McAlilly has announced an Area-wide training event for all Memphis and Tennessee Conference local church clergy and lay leadership scheduled for Saturday, Jan. 18, 2014 at Brentwood UMC in Brentwood, TN. The training event will feature Bishop Bill McAlilly and Dr. Derrick-Lewis Noble, a United Methodist pastor from Los Angeles, CA, who was also featured Bible Study leader at both the Memphis and Tennessee Annual Conferences this past June. The theme for the event is “Evangelism & Mission: Making Discipleship Possible.” The event will be an all-day gathering with registration beginning at 8:30 am. More details and an agenda will be released shortly. Pre-registration is available online for $10, which covers lunch and materials. All registrations for the event will close on January 6, 2014. Notice: Below is an image of letter head and a letter from the desk of Bishop McAlilly. If you can not see the image/read text, please CLICK HERE. At the Piedro Angular Campomento (Cornerstone Camp) in Reynosa, we were joined by Bishop Raul Garcia de Ochoa and the Cabinet of the Conferencia Oriental Anual (Eastern Mexico Annual Conference). Also in attendance were Rev. Roberto Gomez Reyes, the liaison for the Pacto to the Nashville Episcopal Area and Mr. Willie Berman who is the General Board of Global Ministries missionary assigned to minister along the corridor bordering the Rio Grande river. Each Bishop introduced the participants from their respective areas. Opening worship sought the presence of the Holy Spirit to be with us during the retreat. Tables were made up of equal representation from both nations. The event continued with episcopal leaders presenting the flags of our countries. Each contingent then recited pledges of allegiance and sang national anthems. The retreat continued with reports from both sides touting the progress of our covenant relationship and where each aspect stood in its development. Throughout the three days, worship was interwoven in the schedule. The three Annual Conferences rotated worship leaders, preachers and those offering devotions, testimonies and song. Language and cultural barriers faded away as strangers became colleagues and then brothers and sisters in Christ. Our time was concluded with a powerful celebration of the Sacrament of Holy Communion. The bulk of our retreat experience was hearing a description of the 27 districts of the three Annual Conferences. Each District Superintendent gave a brief summation of their district including opportunities for mission and ministry. On Tuesday evening, Bishops McAlilly and Garcia asked Superintendents to identify a colleague from the opposite nation. Throughout the experience of the retreat, the Holy Spirit was already building fellowship and affinity amongst the cohort. Having been paired up as partners, the Superintendents then identified priorities in each district for mutual support. Advance teams will visit one another’s districts in the next few months and then teams will go and work over the coming years. Opportunities exist for local churches to have a sister local church and the same for campus ministries or camping and retreat centers, hospitals and homes. If you would like to know more, please contact your District Superintendent or Conference CMT Director to express interest and support. Be glad in the Lord always! Again I say, be glad!… bring up all of your requests to God in your prayers and petitions, along with giving thanks… I know the experience of being in need and of having more than enough; I have learned the secret to being content in any and every circumstance, whether full or hungry or whether having plenty or being poor. One afternoon as I was driving down Broadway in Nashville, I could not believe what I saw. There she was again. I had seen her three times before – the bag lady. Each time her very appearance had left me visibly shaken. Her presence had hung like an awful omen in my head. Her eyes were hollow. Her skin stretched across her face tight like a trampoline. The once bright colored dress had now faded and had been reduced to rags. And of course she carried her bag – a lopsided old tattered bag – containing all her earthly possessions. This time – I told myself – I would not pass her by. This time I would stop and speak to her, hand her a few dollars, and give her an encouraging word. But as I approached her, an amazing thing happened. She greeted me with open arms and a warm loving smile. Her words were simply this, “Hi, I’m Anna. God is so good; God is so good; God is so good to me. And now I just want to thank him, yes thank him for his goodness and grace.” But how could this be? How could someone living in extreme poverty, praise God and give thanks? Does this not seem unusual to give thanks when life has dealt us such devastating blows? What about each of us? Can we say like Paul: “Rejoice evermore….in everything give thanks, for this is the will of God in Christ Jesus concerning you?” And in giving thanks can we remember all the bag ladies – children, women and men – those who are hungry, ill-clad and homeless – by offering Christ to a hurting world. Prayer: Gracious and loving God, empower us to give thanks in all things and circumstances. Open our hearts to see those who are lost, alone and suffering in a hurting world. May we become your servants by reaching out in ministry with our brothers and sisters whose grateful hearts can touch us and fill us with your Spirit of always giving thanks. AMEN. I was walking along the sidewalk and noticed a little boy playing in a yard under the watchful eye of his grandfather. The little boy had a stick in his hand which he was obviously using as a sword. It was also obvious that he was winning this mock battle. As I reached him, he offered me the stick. I told him that he could keep it for himself. He ran over to his grandfather, they talked, the grandfather said, “He really wants you to have this stick.” I dropped to my knees in front of the boy, extended my hands to receive my gift. As he handed it to me he said, “This is a magic sword. It will keep dragons away.” I thanked him for the gift. He was happy and so was I, for I haven’t had a dragon problem since that day. We have been given a powerful gift to help make our congregations healthy. It isn’t magic, but it is effective. Listen prayerfully to what Paul said: “And whatever you do, in word or deed, do everything in the name of the Lord Jesus Christ, giving thanks to God the Father through him” (Colossians 3:17). If we incorporate these two things into our planning and our prayers, greater things can happen. If everything we do is done in the name of Jesus Christ, our ministry will be focused. Any program, any activity, which doesn’t meet this criteria wouldn’t be done, freeing up time for needful things. Our gratitude will open our hearts and lives to a deeper experience of God’s grace. Gratitude is our response to the love God has given us through Jesus the Christ. No, it isn’t magic, but this gift of God can keep a congregation healthy and fruitful. The Rev. Harrell Nation, Jr.